I'm sure you're familiar with the following situation - your gang is docked in station, and there's a hostile camp on the undock. Maybe you don't all have undock bookmarks, or maybe the other guys just have fast lockers and you're not confident you'll be able to slip their grasp. Wouldn't it be great if there was a way to get your whole fleet out, risk free? Well, I have some good news for you: There is! A kickout station - a bad place to get camped in! For this to work, you need to have at least one character outside the station, with an undock bookmark for that station. For those who aren't aware, an undock bookmark (also known as an insta-undock) is an off-grid bookmark that's aligned in the direction you're travelling when you undock from the station. If this is still confusing you, let me know and I'll write up a guide to making them! The punt works like this: move the character who's outside the station to a fleet command position, and have them come on grid with the station at a safe distance (if they have a cloak, that's ideal). Give a count down, and then have the whole fleet undock. 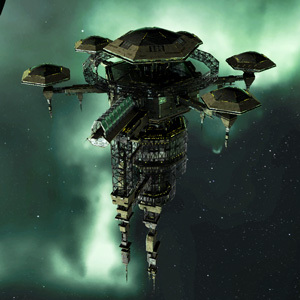 As soon as the undock order is given (before anything appears on grid), the character outside the station should start repeatedly selecting 'warp fleet to' their undock bookmark, then stopping their ship via Ctrl + Space (note that if the punting ship has a non-covops cloak fitted, they won't need to hit Ctrl + Space since their ship will not warp). They should continue to do this until all fleet members have undocked and warped, before warping themselves off too. 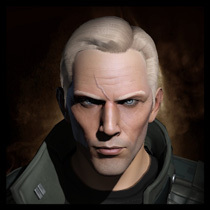 What you'll see on station is as follows: as soon as a gangmate appears in space, they will immediately be in warp to your undock bookmark. This will be long before they have actually loaded grid themselves - often they will be well through the warp by the time they exit blackscreen. Most importantly, anyone camping the station has exactly no time to respond to the targets coming out of the station - by the time they see them they are warping, and no amount of sensor boosting will stop that! Obviously, this tactic does not work if the opposing force has a bubbler. For single ships you may be able to punt them out before the bubbler is able to react and bubble up, but there's a risk in doing so - fleet warping your friend will break their undock invulnerability, and if they don't warp because they're in a bubble they will be stuck outside station unable to dock again until their session change timer expires. In hisec or lowsec however, or in nullsec when no bubbler is present, this technique is practically unstoppable!